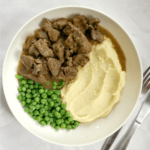 Slow Cooker Beef Tips and Gravy, a heavenly tender, flavourful and rich meal to make dinner the best time of the day. 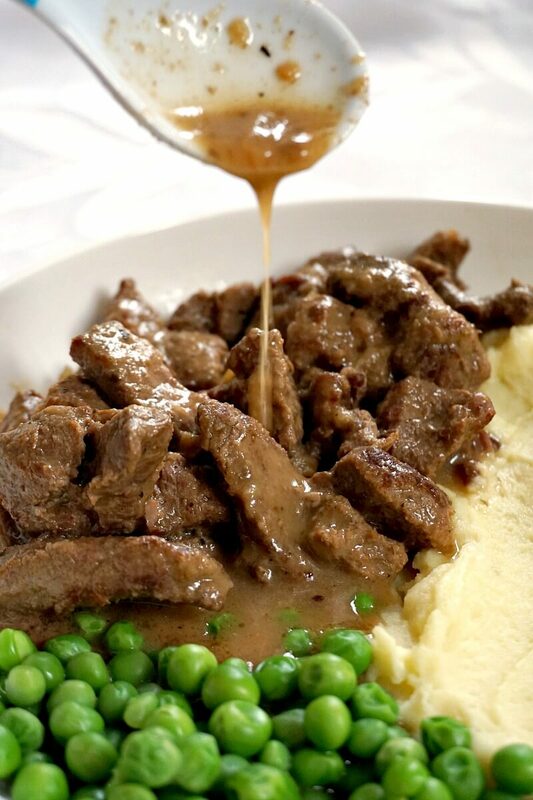 Melt-in-your-mouth beef, smooth gravy, all served over creamy mashed potatoes and a handful of peas. The best ever comfort food! This is a dish after my own heart! It’s filling, it’s packed with rich flavours, and it’s the perfect comfort food in winter. Slow cookers must have been invented for cooking beef, really. If you want the beef cooked to perfection, so tender that it melts in your mouth, this recipe is for you. And that gravy! Forget about gravy granules and other store-bought cheap-quality gravy pots, this is the real deal. Apart from searing the beef before adding it to the slow cooker, everything else is cooked in one pot, thus saving you time and energy. And lots of other dishes to wash afterwards. I do like one pot meals, don’t you? 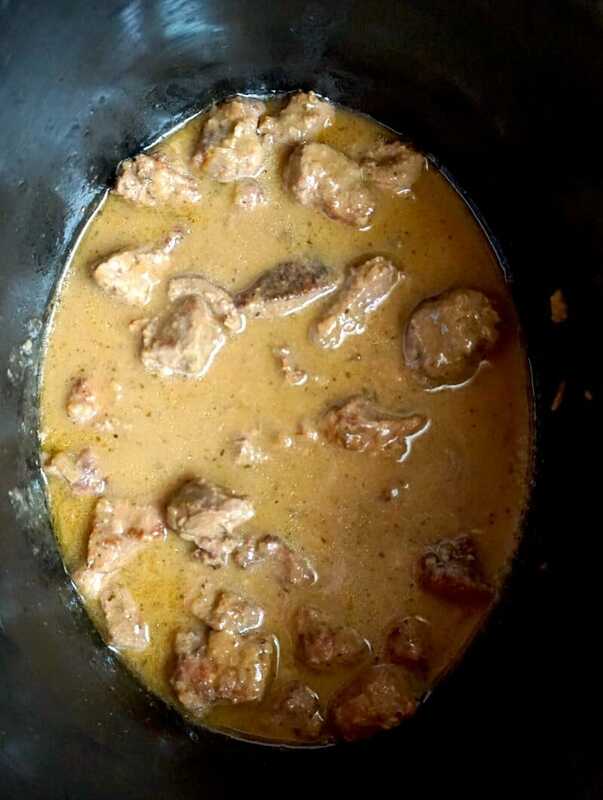 How do you make beef tips in the slow cooker? Now, quality meat will always bring the best and most delicious results. You can use any good beef, already diced or steak that you cut into cubes yourself. Searing the beef, although optional, does add more flavour to the dish. 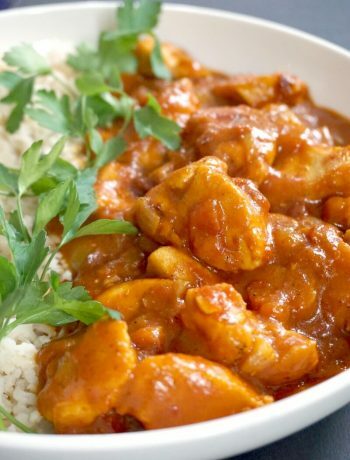 If you really are short of time, you can just dump everything in the slow cooker and still get a yummy meal. But, if you want to take this dish to the very next level, sear the beef chunks, and you’ll get the best possible beef and gravy. Make sure you don’t overcrowd the pan, if you cook for a larger meal, sear the beef in batches. How do you make beef gravy in the slow cooker? When the beef is tender, use a spatula to remove it. Pass the beef broth through a sieve, so that all bits can discarded. We’ll be left with a clear broth. Transfer it back to the slow cooker, mix the cornflour (corn starch) with water, add it to the broth, and mix well. Leave to cook for high for 15-20 minutes until the gravy thickens to the desired consistency, then add the beef back in. 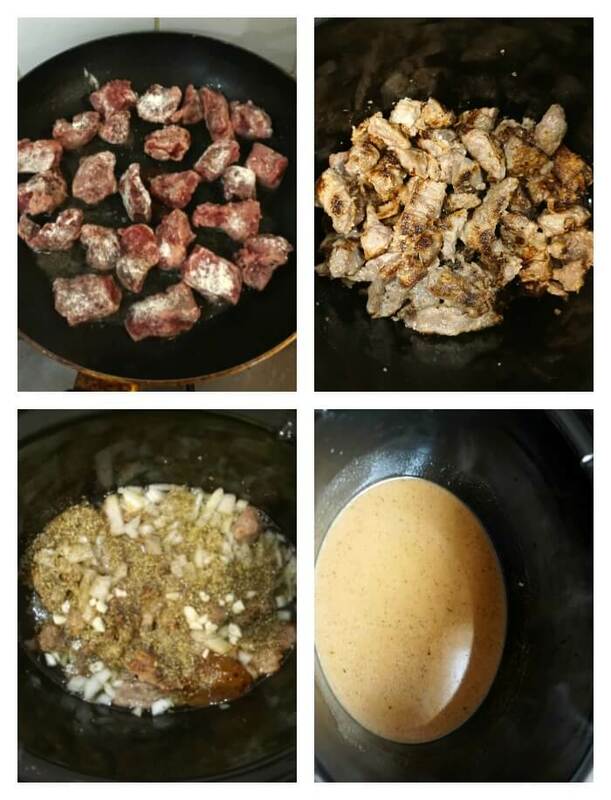 What do you serve with beef tips and gravy? Mashed potatoes and peas are my favourite sides for this delicious dish. 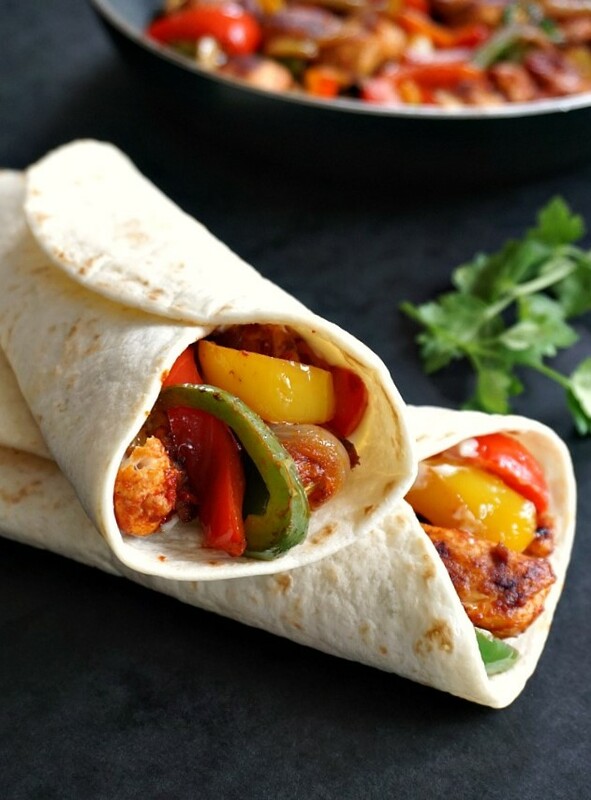 You get a great range of flavours and textures, and a complete meal with protein, carbs and veggies. Basmati rice is another great side dish which goes well with pretty much any meat. Serve some greens on the side, and you have one delicious dinner. Some good old roast potatoes are another great side to go with this delicious slow cooker beef tips and gravy. Other fabulous beef recipes: Beef Casserole with Cheesy Gnocchi, Beef Stew with Sweet Potatoes, Hearty Oven Beef Stew Recipe [GF], or Chinese Broccoli and Beef Noodles Stir Fry. 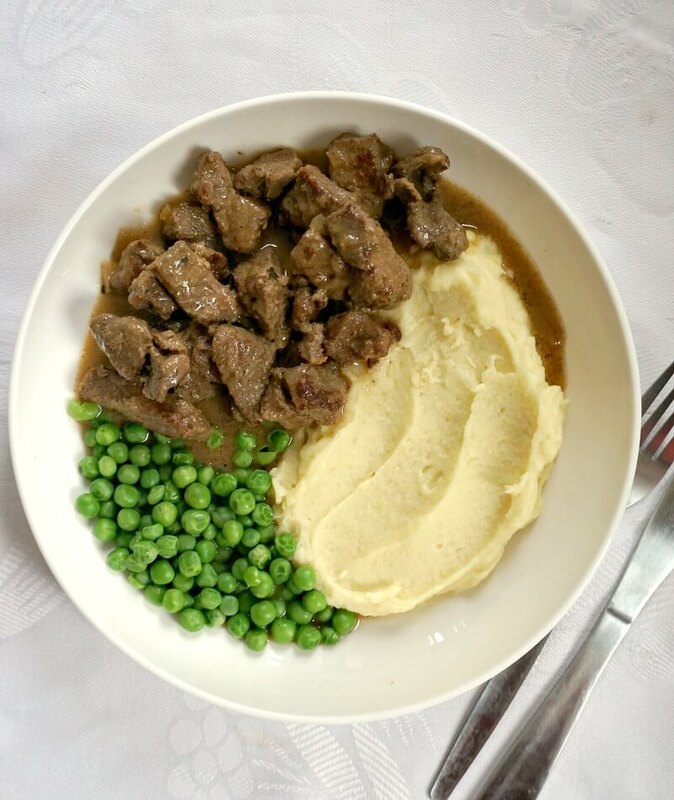 If you’ve liked the SLOW COOKER BEEF TIPS WITH GRAVY or any other recipe on the blog then don’t forget to rate the recipe and let me know how you got on in the comments below, I love hearing from you! You can also FOLLOW ME on FACEBOOK, and PINTEREST to see more delicious food and what I’m getting up to. Use a kitchen paper to pat the beef dry, then coat with flour, shaking off any excess. Heat up the oil in a pan, add the beef and fry gently until lightly brown. Work in batches to sear the beef rather than adding it all up at once. Add the seared beef to the slow cooker together with the broth, herbs, salt, pepper and chopped onion and garlic, and cook on high for 4 hours, or on low for 8-9 hours. Use a spatula to remove the beef from the slow cooker, pass the broth through a sieve to remove any bits, then return the broth to the slow cooker. Mix the cornflour with 2 tablespoons of cold water, add it to the broth, and stir. 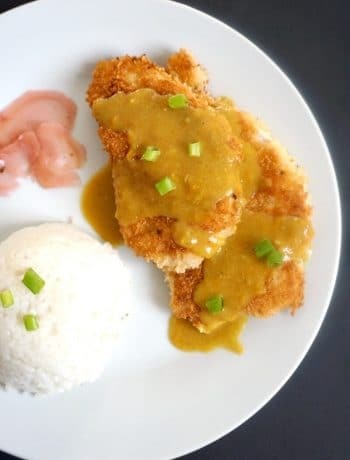 Leave to cook on high for 15-20 minutes so it can thicken into a gravy. Transfer the beef back to the slow cooker, and give a good stir.